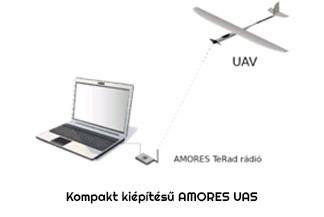 The AMORES UAS technology contains flexibly configurable elements equally able to meet requirements of simple application areas and those of professional applications with more complex quality requirements. 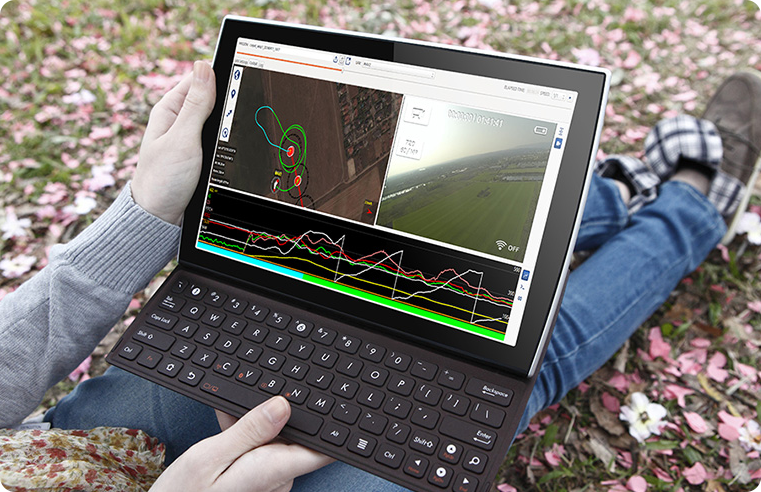 A compact ground infrastructure only needs a single notebook, a telemetry radio and an UAV. The task of the Ground Control System (GCS) is to create the information necessary to execute a particular mission based on the data entered by the control staff, to forward these to the mobile units with the help of the communication system, and to process, display and store the information coming from this latter, rendering it accessible for the other system components. 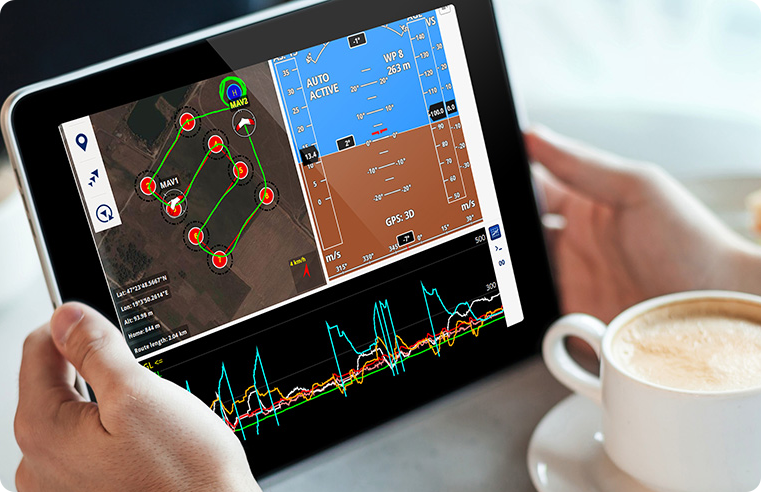 The ground operator keeps in contact with the UAV through GCS.